After hours of driving through the flat Canadian Prairies it’s hard to believe that the landscape will ever change. Mile upon mile of agricultural fields dissolve into the distance in every direction, only occasionally broken by perpetually slowly swinging oil rigs and impossibly straight highways that only ever seem to meet at right angles. Long drives through Alberta will either leave you hypnotised or teetering on the brink of insanity. Under slate grey skies we made our way the 300 some kilometers from Wainwright to Brooks, Alberta in convoy with my sister and nephews. 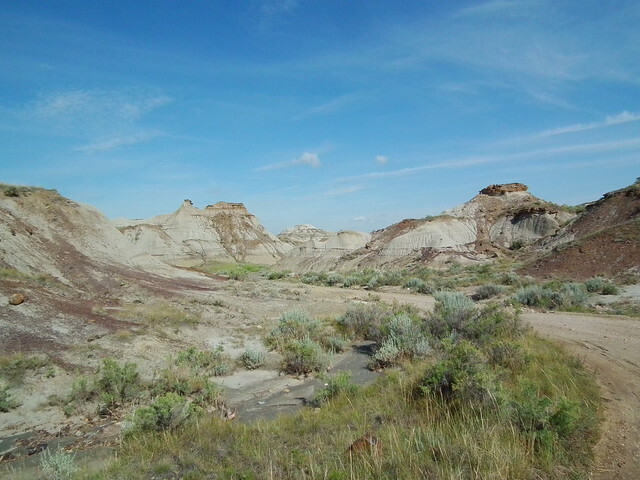 Four hours, two roadside pees, and one long nosebleed hiatus later we finally reached our destination – Dinosaur Provincial Park. “This better be worth it,” I thought….and then this vista opened up in front of me. 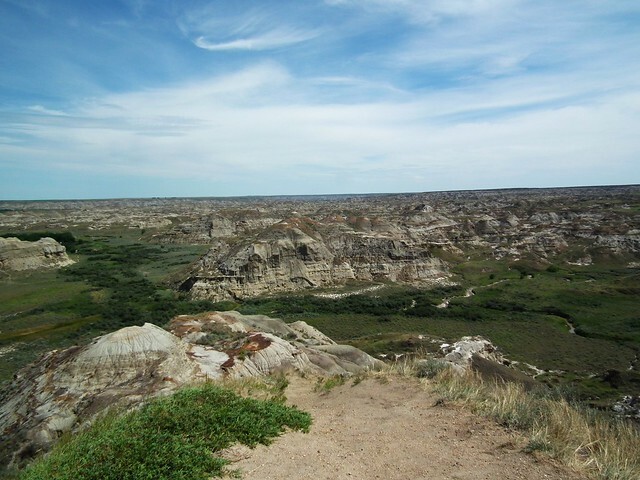 After four hours of driving through the impossibly flat Canadian Prairies just about any change would have been notable, but to come upon a landscape like this was awe-inspiring. It’s like stepping onto another planet or into another world. Entering from the main entrance the Prairies drop away and a great gorge opens up below. Millions of years of erosion have carved this moonscape on earth, leaving sandy hoodoos and hillocks that morph and change with every rain drop and gust of wind. This isn’t just a cool gorge though, this is a giant archaeological site. 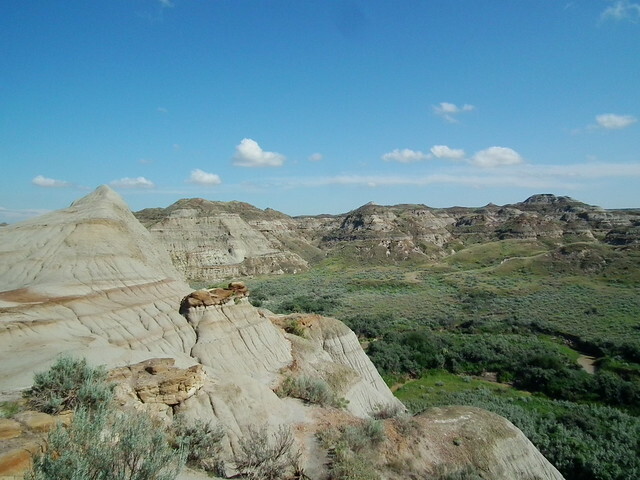 Dinosaur Provincial Park boasts some of the richest dinosaur fossil deposits in the world, with forty species discovered within the park thus far. 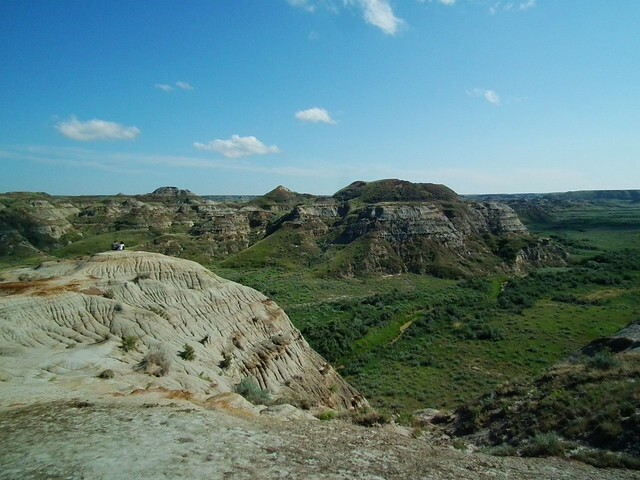 Much of the park is protected and inaccessible to visitors who are not under the watchful eye of one of the parks rangers. 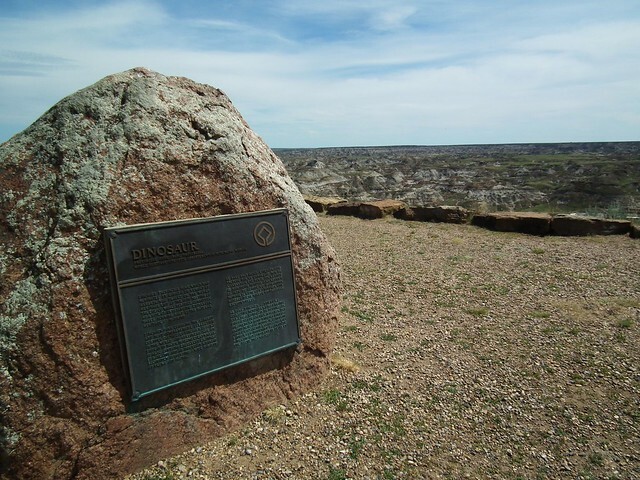 Sign up for one of the many tours offered at the visitors center and you’ll get to go ‘behind the scenes’ and hunt for some fossils yourself. 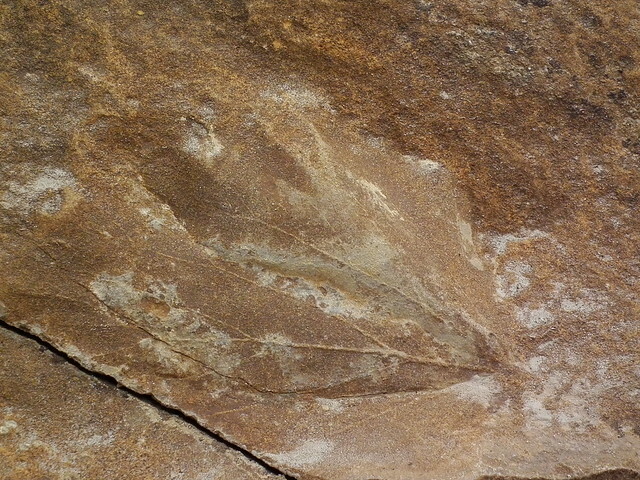 Under the baking summer sun we found all manner of fossils, from dinosaur bone fragments to prehistoric leaves imprinted in the rock. Child or adult, the experience is extraordinary. 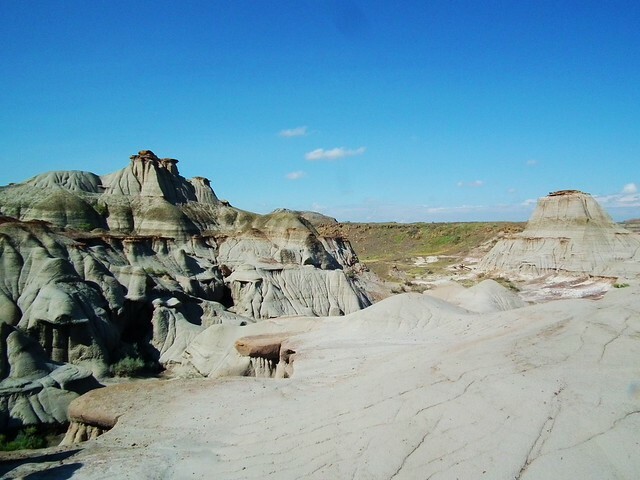 Dinosaur enthusiast or not, Dinosaur Provincial Park is an astonishing place to visit and a landscape like no other in Canada. It might be a bit out-of-the-way if you’re visiting the Rocky Mountains, or the major cities of Edmonton or Calgary, but to my mind, the detour is well worth the effort. Just remember to pack your mosquito spray! That is just. ..amazing! I had no idea that a place like this even existed. Now i have to go. It’s definitely worth a visit, it’s otherworldly!